Make the Decision: Deb and I are absolutely inspired by all of the women who have been stepping out of their comfort zone, signing up for our group classes and then coming out to our monthly practice sessions. Kudos to all of you! 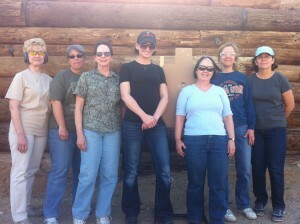 We know that, for many women, making the decision to take a firearms training course is not an easy one. If you are like me, firearms were not a part of your upbringing. You were not exposed to guns, hunting, or the shooting sports, and you were probably not extensively educated about the Second Amendment or the legitimate purpose and use of firearms. My experiences and opinions were based on what I read in the newspaper or saw on the news and in the movies [insert scream from horror movie]. 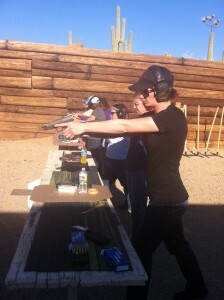 I was uneducated, uninformed and therefore unfamiliar with firearms in general … and in particular. Wow … was it ever difficult to type that paragraph. IMO, the above historical account of my childhood is sad and unfortunate, and unfortunately, all too common for those of us with the double X chromosome. I don’t blame anybody though. My Mom was a single parent with 4 children, 2 jobs, and received little or no child support (remember those days?) She struggled day in and day out to take care of us. It was a different era and guns were just not a part of our life. On the positive side, even though we weren’t a “shooting family” like my hubby had the good fortune to have, my mom did NOT instill FEAR of the unknown or unfamiliar in us. Make a Difference: Fast forward 26+ years. 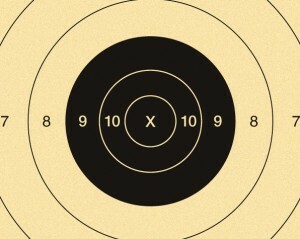 I am now at a point in my shooting “career”, for lack of better term, where it’s important for me to try to make a difference in the law-abiding-gun-owners’ and shooting-sports’ world, one double X chromosome at a time. I’m hoping when she’s MUCH older and meets a special young man who has been brought up with and educated about firearms, she too will want to shoot a bit more often. Until then, I’ll continue to work with the abundant supply of women who haven’t had the luxury of being exposed to the POSITIVELY exciting, legitimate, empowering and fun side of guns and shooting. It’s one of the most rewarding “jobs” I’ve had to date. So ladies – It’s not too late to make that DECISION or make a DIFFERENCE. I highly suggest both!